According to this story on NPR’s Morning Edition, a Japanese cosmetics firm offers “heartache leave” to its employees who have just broken up with a significant other. They even recognize different levels of grief employees might endure from breaking up with a boyfriend or girlfriend, offering three days to older employees (while the presumably more resilient younger employees get one day to recover). Although it might seem like just another Japanese cultural oddity (for those who hate getting their hair in their noodles! 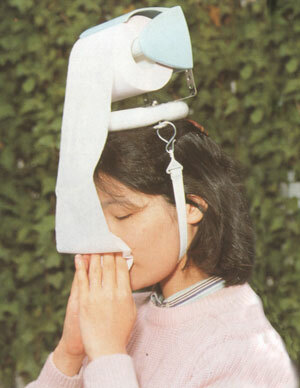 for those who need to blow their nose at all times! for those who must smoke mass quantities right now!) it is actually kind of nice for employers to recognize that the automatons filling all those cubicles are actual human beings. A little bit of empathy can go a long way. i need heartache leave from rejected interviews. stupid accounting firms. So, are you headed down the accounting path? No writing?